Being a stay at home Mom is amazing in so many ways. But, like most of us in the middle class, a little extra income goes a long way these days. Not to mention that as an innate Creative, I have a hard time sitting still without a project to work on. So, I side hustle. A lot. I love being able to set my own schedule and spending as much time as possible with my little guy. But, it’s not all rainbows and lollipops, there are hard days too. In case you hadn’t heard… babies and toddlers are a little unpredictable! The first couple of weeks home were deviously deceiving. Baby slept like 18 hours a day and I daydreamed about how much I was going to get done. This is going to be easier than I imagined… I thought naively. Boy, was I wrong! My Bubbah was a super attached baby and remains a super attached toddler, which is great in many respects (who doesn’t LOVE snuggles with their kiddo?! ), but unfortunately there are days when I need to be a Mom AND get stuff done. Enter Struggle Bus mode. This kiddo LOVES technology (I can’t imagine where he gets it). And, despite giving him his own mouse and phone, he still lunges after my technogoodies every chance he gets. On good days, he’ll play by himself for 15-20 minutes, but on the hard days he requires hug breaks at frequent intervals. You know I love my son, but *whew* sometimes Mama gets touched out. Some days it’s harder to work than others, it requires a lot of hard decisions, going with the flow, and being okay to let things go. Sometimes it also mean staying up way past my bedtime to tie up all the loose ends I didn’t get to finish when Bubbah was awake. I know things will change and shift and in a few months be different, but they’re never really going to get easier (especially now that we have Baby #2 on the way!!). But, I wouldn’t change a thing. I wouldn’t give up my time with my babies for anything. I also wouldn’t give up my passions, creative pursuits, or side hustles. They may get put on the shelf from time to time, but they are as much a part of me as being a mother. And so, I seek balance, all day, every day. 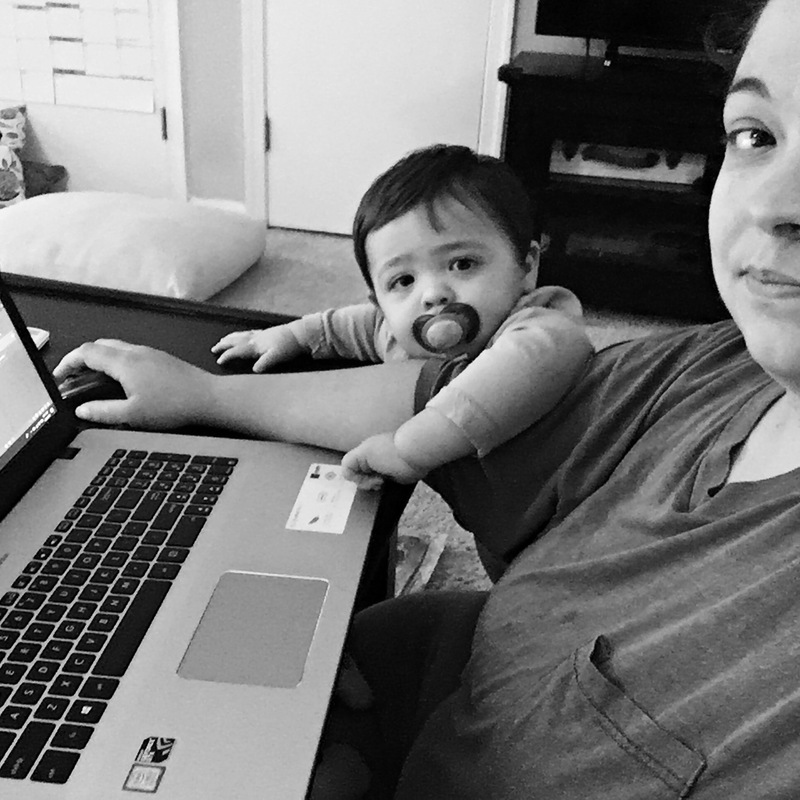 Some days I feel like I’m on top of the world… others less so, but I keep plugging along, doing the best that I can to be a wife and mother, and professional Creative. One day at a time.